This product is basically designed by famous Italian designer, and also the most exquisite craftsmanship. The good quality and unique design are advantages of our products. 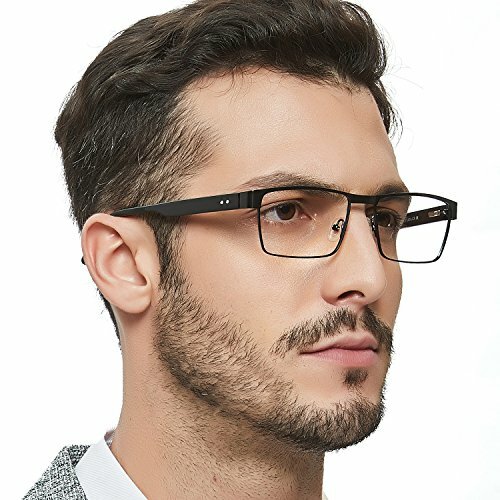 This frame comes with clear lenses,you can wear it for fashion.Of course,you can also replace them with your own prescription lenses at the local optical store. Free Shipping and Fast Delivery: Free standard shipping delivery within 7-21 working days or FBA fulfilled shipping within 1-3 working d days. Responsible After-sale Service: In case of any problems within 30 days, please contact with our customer services without hesitation. We will provide the best solutions until the customer is satisfied. You have no risk to try! High elastic spring leg can prevent it clip your face, solid high quality hinge tested 30 thousand times, smooth finish uneasy to fall off, tight screw. If you have any questions about this product by OCCI CHIARI, contact us by completing and submitting the form below. If you are looking for a specif part number, please include it with your message.